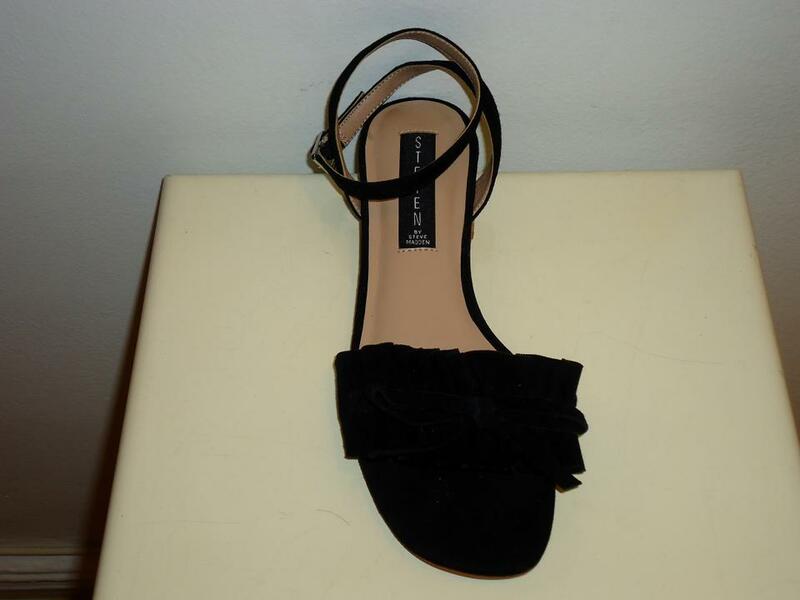 pair of Steven black suede sandals, size 6. 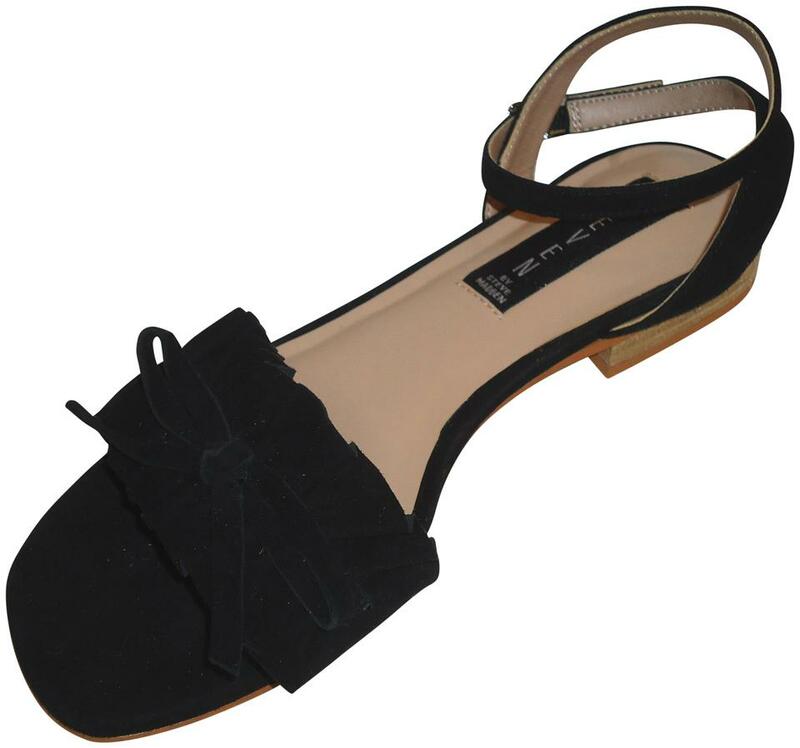 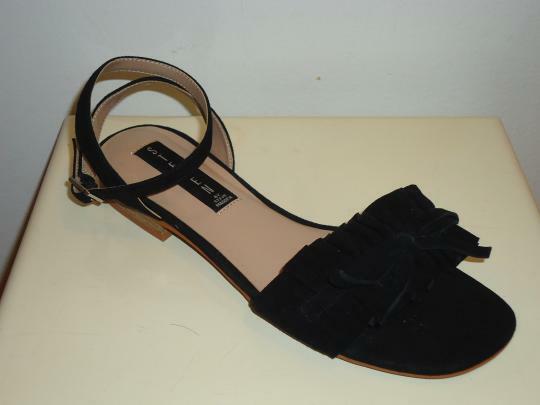 These sandals are designed with banded and bow upper and have ankle strap with adjustable buckle. These sandals have comfortable low heels that measure 3/4 inches.